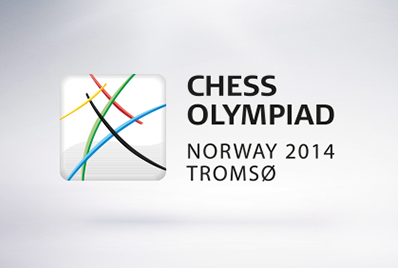 The 41st World Chess Olympiad - Open and Women, will be held in Tromsø, Norway, between 1st and 14th August 2014. The number of rounds in the Open and the Women's Olympiad shall be 11. Time control: The time control will be 90 minutes for 40 moves and 30 minutes until the end of the game, with 30 seconds additional time per move, starting from move 1, per player. The players are not allowed to offer a draw to their opponent before thirty (30) moves have been completed by both players. Stockfish won the TCEC Season 6 Special Event - Fischer Random Chess computer tournament with 25/28 points. Fischer Random Chess computer tournament presented the 8 best engines which support Chess960 from Season 6. In Fischer Random Chess (Chess960) the pieces at the starting position are placed randomly in one of the 960 possible ways. In this particular competition opening books won't be used. The engines will play from move 1. The tournament started on 28th June, 2014 at 16:00 CEST in a quad robin format with a total of 112 games. 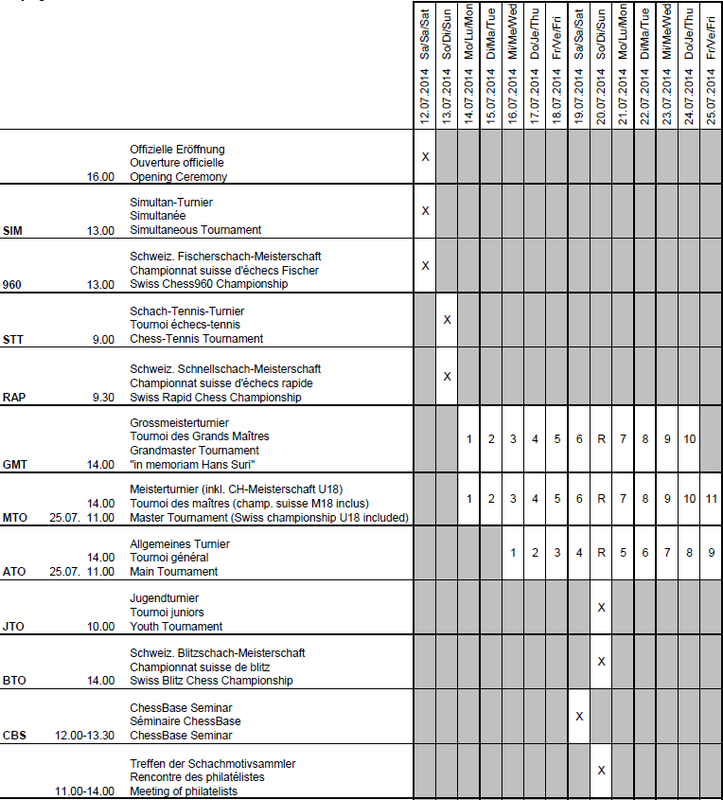 The 42nd Sparkassen Chess Meeting will be held in Dortmund, Germany, between 12th and 20th July 2014. It is an elite annual chess event by invitation. The first tournament was held in 1973. The player with most wins at Dortmund - Vladimir Kramnik, who won 10 times, individually or jointly, between 1995 and 2011 - is among the players this year as well.